Staying in hotels is not the only option you have for convenient and comfortable accommodations. 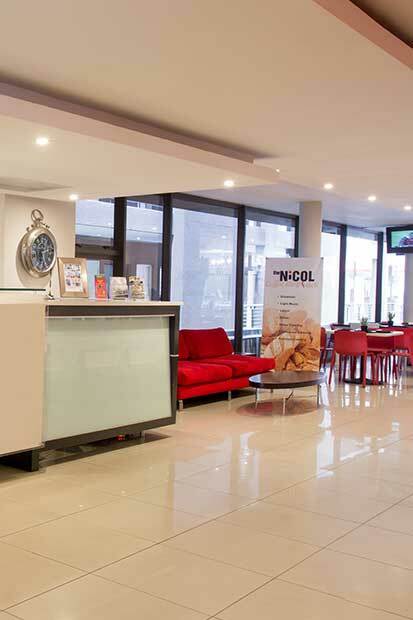 The Nicol Hotel and Conference Centre gives you more space and freedom than the standard hotel room offers with its serviced apartments. Our spacious studios and apartments are several notches higher than its contemporaries. 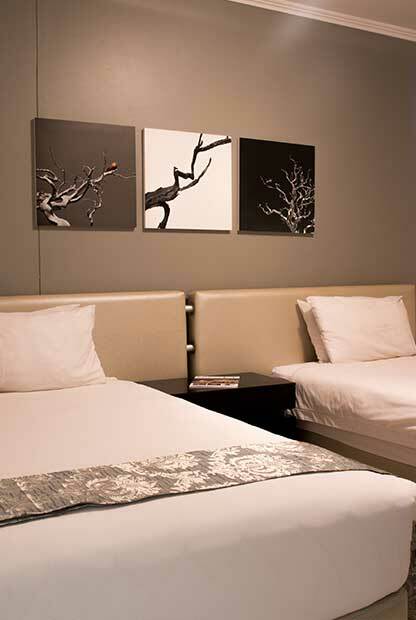 Experience stark and modern interiors, elegant furnishings, and excellent services. Form and function combined in perfect harmony is what comes to mind when you see our studios and apartments. We place high value on aesthetics, a must for guests especially when we’re talking about long stays. Red, black, and gray dominate our modern interiors, a design scheme that will surely please all types of guests. Our facilities and services are up to par with the quality of our accommodations. 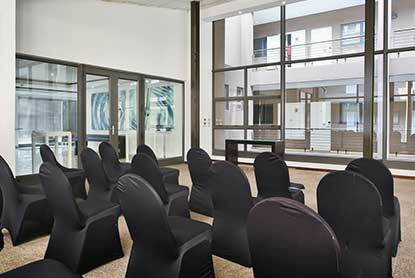 The sleek elegance of our rooms and exterior extend to our boardrooms and conference rooms. We provide venues and equipment for high-powered business meetings, as well as the appropriate food and drink for such occasions. 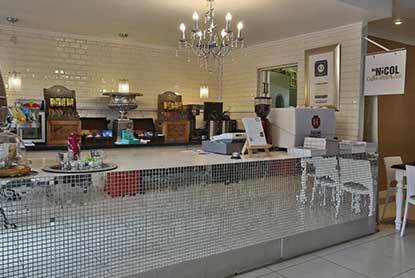 We have a restaurant and coffee shop that satisfies gastronomic yearnings and much-needed coffee intakes. There’s round-the-clock security to keep guests and staff safe and sound. 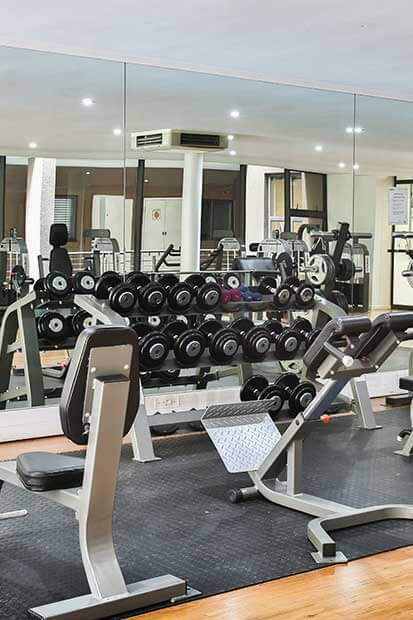 There’s a fully equipped gym for those who can’t stop working out even during vacations. For relaxing dips and leisurely sunbathing, our pool area on deck is always available. Our central location is the icing on the cake. 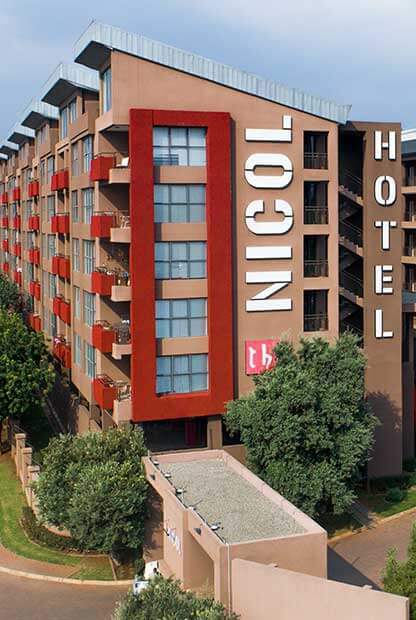 Situated in the leafy suburb of Bedfordview, The Nicol Hotel and Conference Centre is close to OR Tambo International Airport, Eastgate Shopping Centre, and Sandton City. Fall in love with the sophisticated hues of red, grey, and black dominating each studio and apartment. Our accommodations look as good as it feels. We place equal emphasis on aesthetics and function. 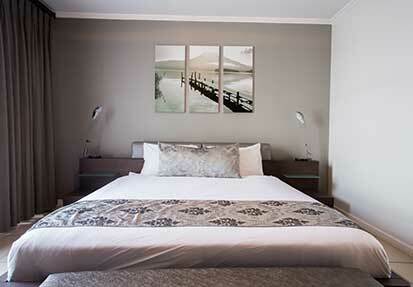 Each of our elegant dwellings is equipped with kitchen, work station, Wi-Fi internet, en-suite bathroom, and safe. Complimentary toiletries are also provided for your added convenience. We take care of the basics and more. Dining options, security, fitness, connectivity, and leisure are all within easy reach. Enjoy access to our restaurant and coffee shop, fully equipped gym, and pool area on deck. The hotel provides 24-hour security as well as free Wi-Fi internet access in public areas. It only takes a short 20-minute drive from OR Tambo International Airport to get to our property. 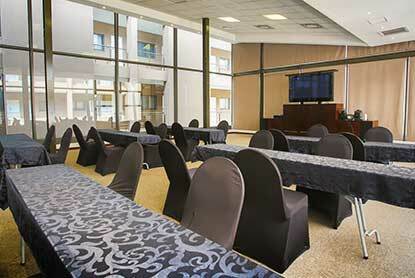 This makes us the perfect venue for conferences, business meetings, and presentations. 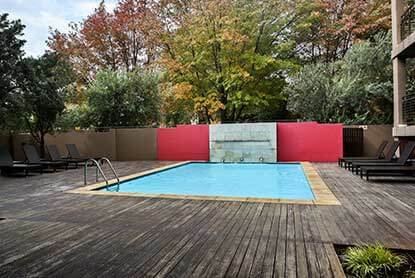 We are also near top-rated attractions such as Eastgate Shopping Centre, Royal Park, Observatory Golf Club, Johannesburg Stadium and Ellis Park Stadium.